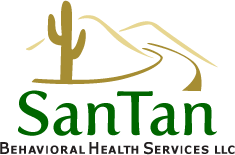 A female client, 17 years of age, began services in May of 2015 at STBHS for behavioral coaching due to experiencing anxiety attacks that resulted in hospital visits at least once a month. After six months of intensive sessions initially focusing on what prompted the anxiety attacks which was found to be socially related that would isolate her in the home; we immediately identified and repeatedly practiced individualized coping skills. Client gradually participated in community settings, shopped for groceries by herself, and later, obtained a volunteer position at a nursing center on a regular basis. Client has decreased anxiety level to the point she has avoided any hospital visits since beginning services. In addition, she has increased social skills by becoming more involved in her church activities, she is able to initiate conversations with others, and attends other social events in the community without incident. She is currently transitioning from youth services into a natural support environment, and adult system of care.